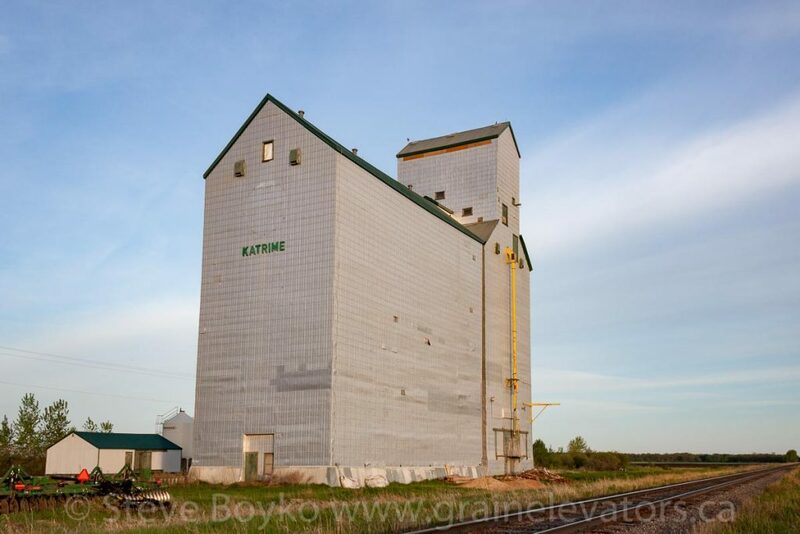 The Katrime grain elevator stands by the CN Gladstone subdivision, southeast of the town of Gladstone. 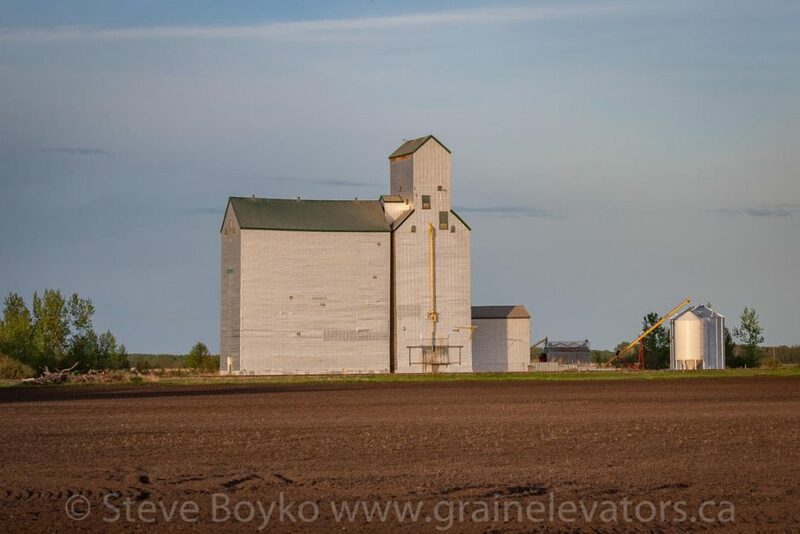 This elevator was a Manitoba Pool elevator with a capacity of 4,000 tonnes of grain in the elevator and attached annex. 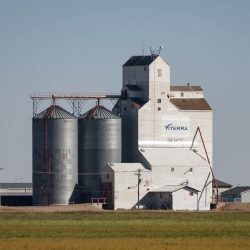 It became privately owned sometime during or before 2008. It has no rail service as the siding has been removed for some time. It appears to still be in use for storage. 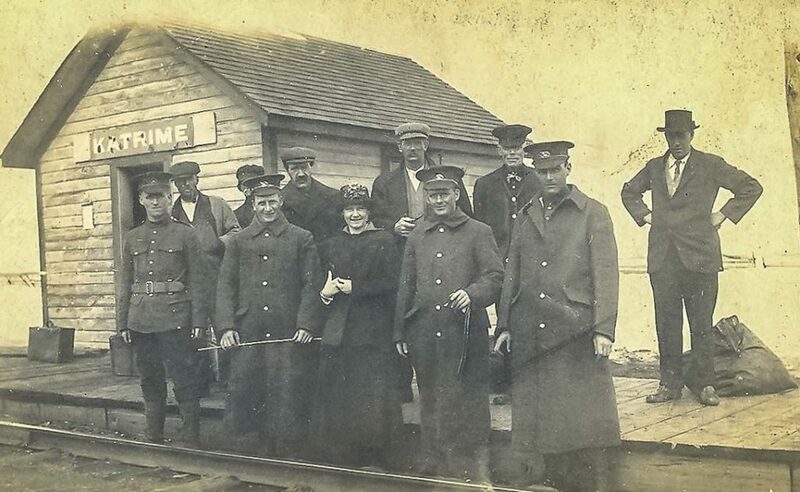 Katrime’s rail passenger station is now on display at the Manitoba Agricultural Museum. 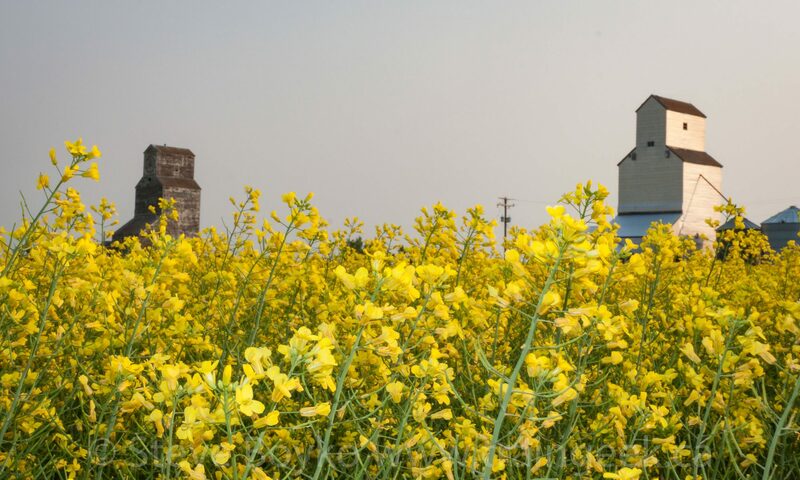 It is a small structure, built in 1919 by the Canadian Northern Pacific railway.